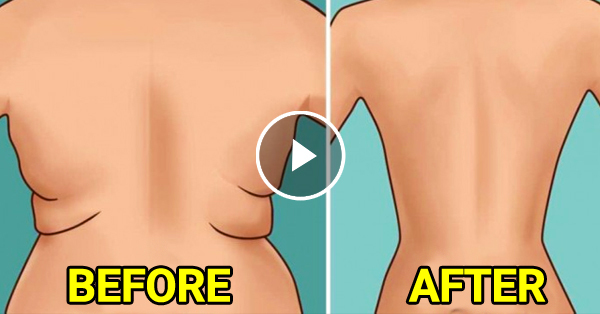 The 4 Simple Steps to Remove Your Back Flabs and Underarm Fats! A lot of us would go to different clothing shops wherein we look for our perfect clothes in which it could fit our body shape correctly, some people are happy with what they bought because it looks good on them, but some, specially those with back flabs and underarm fats need to buy clothes that could hide those unwanted fats. Now there are 4 Easy and Simple Steps to Remove those unwanted fats. All you need to do is follow these special exercise that can get rid of those fats and flabs. You need to do this exercise 3 sets of 6 to 8 reps.
Do the same exact position as the picture on the left and try to reach your feet. Right Hand to Left Foot and Left Hand to Right Foot. You need to do this exercise 3 sets of 10 to 12 reps.
Bend yourself half ways and move your arms from the center to the right then center at the left. This is like #2, but in this case you need to move your arms from the center to your sides. Stand up with your feet on the ground spaced for a half arms away and move your arms from center to your sides. Follow the picture on the right. If you don't have the money to buy a pair of dumbbell, use a pair of bottles that has water in it, and follow these exercise for 12 minutes, 3 times a week. If you do this regularly, you'll definitely notice the change in those back flabs and underarm fats of yours.